This is so nasty, so cruel, so juvenile, so puritanical, so hypocritical. Yes its nasty ... 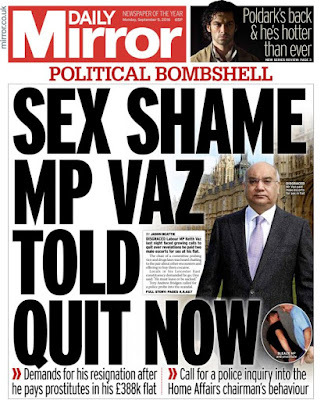 But it's Keith Vaz. Yeah, there's loads of criticisms to make about Vaz, but kicking him about this misses the point.